Variscite is happy to announce a new cost-optimized variant of the DART-6UL, powered by NXP’s iMX6ULZ. The new variant is pin-compatible with the i.MX 6UL and i.MX 6ULL based variants of the DART-6UL SoM, offering our customers a highly scalable product at the best cost-effective price. The new variant is a native solution for headless Linux-based embedded products such as IoT devices and smart home sensors requiring low power, low size, and rich connectivity options. 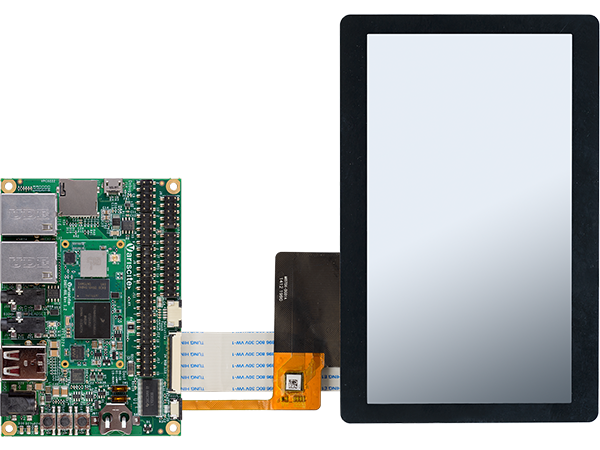 It carries most of the features and interfaces offered by the DART-6UL SoM, including a 900MHz Cortex-A7 processor, certified 802.11 ac/a/b/g/n WiFi/BT, BT4.2/BLE, high-speed USB OTG, and serial ports. “The iMX6ULZ will enable Variscite to further break the price barrier for high volume, cost-sensitive embedded products, thus providing our customers the option to enjoy Variscite’s high-quality products and excellent customer support at a very attractive price point”. The iMX 6ULZ variant supports a temperature range of 0 to 85°C and lacks the display and Ethernet interfaces. Industrial grade options featuring -40 to 85°C temperature range, display and Ethernet interfaces can be obtained by using the i.MX 6ULL/6UL pin2pin variants of the DART-6UL. The i.MX6ULZ based solution will be launched in Q4 2018. For early access and additional information contact our sales team.